Join us as we launch our 40th anniversary season this Friday! 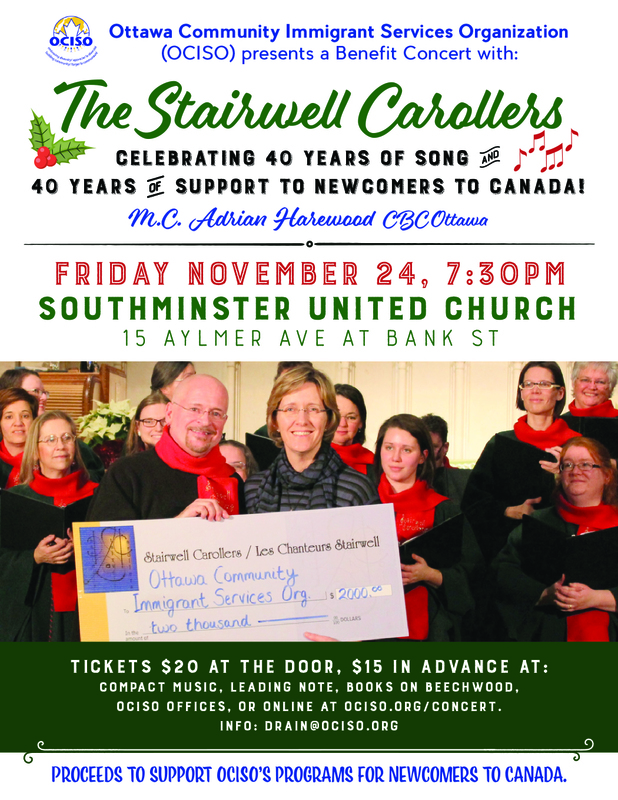 The Stairwell Carollers are “over the moon” excited to be kicking off their 40th anniversary season this Friday! That's right! Our singing season starts November 24 at Southminster United Church, 15 Aylmer Ave. and Bank Street with a benefit concert for OCISO to support their programs for newcomers to Canada. In a stroke of synchronicity, the Ottawa Community Immigrant Services Organization is also celebrating their 40th year of good works. Vey cool! I think it's a wonderful way to celebrate Canada's 150th Christmas season! You are warmly invited! Click here for ticket info. As a special treat, concert goers on Friday can hear three “world premiere” Xmas carols - two by Pierre himself, and one by tenor David Rain. 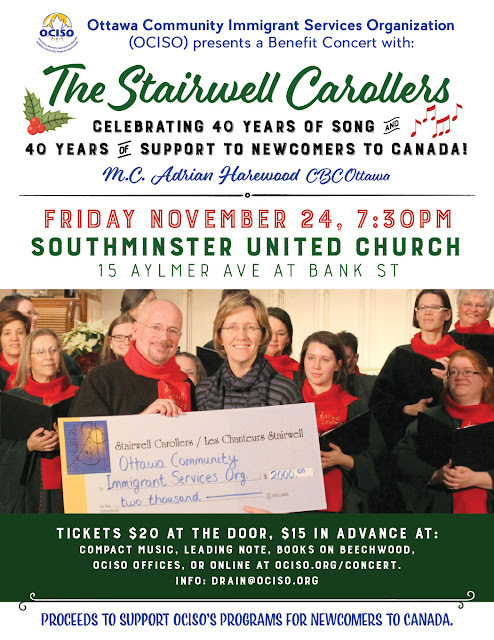 Friday’s concert is a benefit concert for the Ottawa Community Immigrant Services Organization (OCISO). 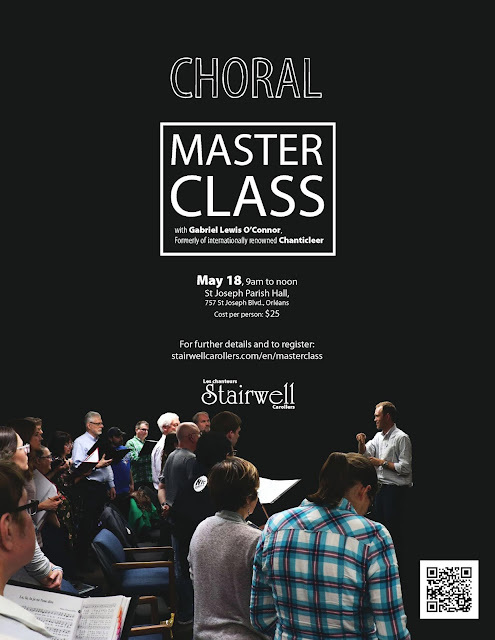 The Stairwell Carollers are proud supporters of OCISO (we gave a special donation of $2000 in 2015), and we encourage everyone to come out and enjoy our great music, and support a great cause. Hope to see you there. Again, click here for ticket info.